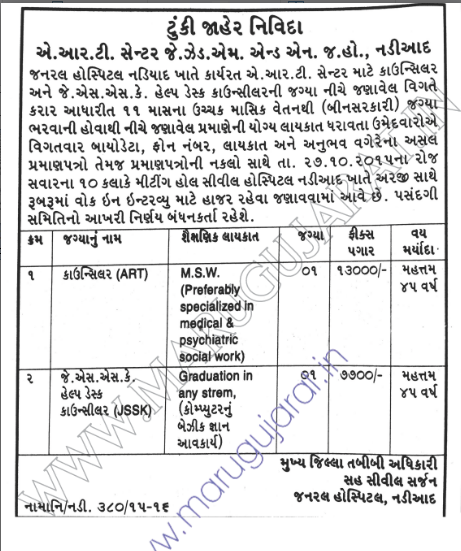 General Hospital Nadiad has published a Advertisement for below mentioned Posts 2015. Check below for more details. Walk-in-Interview: 27-10-2015 at 10:00 a.m.